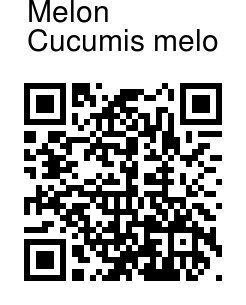 Melon is a very popular summer fruit in northern parts of India and an annual climber growing to 1.5m. Melon leaves are oval to kidney shaped with five to seven shallow lobes. 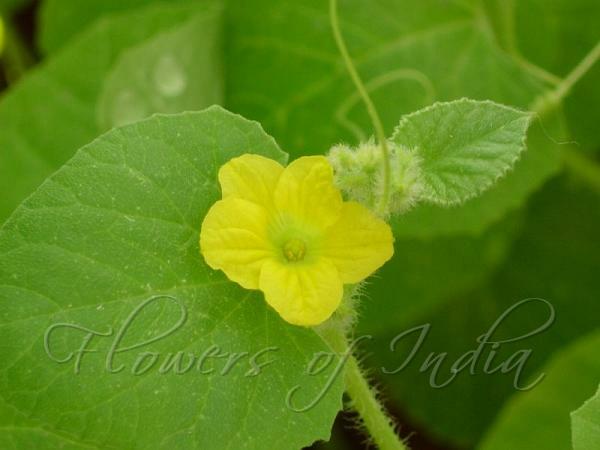 Plants produce trailing vines and yellow flowers similar to cucumbers, but flowers may be male, female, or perfect. Fruit is large, and can reach the size of a football, although it is generally more flattened. Several varieties have been developed with varying pulp and skin color and texture. Identification credit: Aarti Khale Photographed in Maharashtra and Tamil Nadu.